Studio Without Walls exhibition. “Sky Necklace” by Freedom Baird. 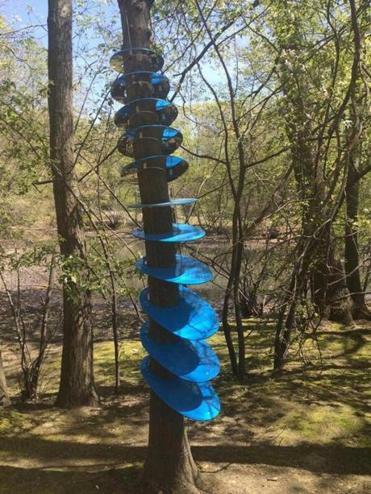 Visit Riverway Park near Brookline’s Longwood T stop to see sculptures that interact with the natural environment through light, sound, or movement. Studios Without Walls presents its 17th annual exhibition April 30 through May 22, with 14 sculptures that focus on the “gateways” theme. Visitors can engage in a visual art treasure hunt, and take a self-guided tour. Artist-led tours also run every hour from noon to 4 p.m. on April 30 and May 1, and Ranger Alex Cassie leads a tour on April 30 from 12:30 to 1:30 p.m. Anne Alexander leads a demonstration on how to carve tree spirals April 30 and May 1, while Maria Ritz runs a printing project on April 30, and Wendy Wolf offers a temporary leaf graffiti art project on May 1. 617-327-5171, www.studioswithoutwalls.org. Looking for a luxurious place to tie the knot or get away with a group of friends or family? Try Eastaway, a new high-end retreat located on a hillside in Woodstock overlooking the Green Mountains. Rent out the entire estate for up to 15 people and you’ll get the main house and a guesthouse with a total of seven bedrooms, 10 bathrooms, and seven fireplaces. The main house has saunas, and a wine cellar and tasting room, while the guesthouse also has a patio with a fire pit and an entertainment room with a pool table. Outside, you’ll have 128 acres to explore, a heated pool, two outdoor spas, and a screened gazebo with 360-degree views. Rates range from $1,500-$2,500 per night, and $8,000-$14,000 weekly, depending on the time of year. Other additional options include maid service, grocery shopping, a personal chef, and transportation. 603-443-6757 www.eastawayestate.com. Soar over Maui’s North Shore or enjoy a three-island sunset flight with Maverick Helicopters starting this month. The award-winning aviation company has launched two new flights: Sunset Odyssey takes passengers over Maui, Molokai, and Lanai, offering views of Maui’s Elephant Rock the ancient fish ponds of Molokai, and Shipwreck Beach, which is home to the abandoned World War II Liberty Ship. Finish the trip with a sunset view of Molokini, the crescent-shaped partially submerged volcanic crater. Aloha Adventure takes passengers over Maui’s North Shore, home to the world-famous Jaws surf area, the iconic Jurassic Rock (named after the movie Jurassic Park), and the Hana Rain Forest, offering distant views of waterfalls and Haleakala National Park. Passengers get to ride in an Airbus EC130 Eco-Star aircraft, which seats up to seven people and offers voice-activated headsets, leather seats, and wraparound windows for great visibility. $229-$299. 800-978-0266, www.flymaverick.com/maui. For another fabulous island adventure, head to Ireland to enjoy the six-day Northern Island Tour, which is now offered by Driftwood Irish Journeys of Discovery. Hop in a customized sightseeing van with no more than 15 other people and visit the Glens of Antrim, which serves as a setting for some “Game of Thrones” scenes, and the historic cities of Belfast and Derry. Also see the 66-foot-long Carrick-a-Rede rope bridge, once used by fishermen to catch migrating salmon, and Giants Causeway, a UNESCO World Heritage site with 40,000 hexagonal-shaped volcanic rocks. Or go for a walking tour of Belfast, where the Titanic was built, and the city of Derry. $1,415 includes transportation, five nights accommodations, daily breakfast,and taxes. 800-474-0055, www.vagabondtoursofireland.ie. 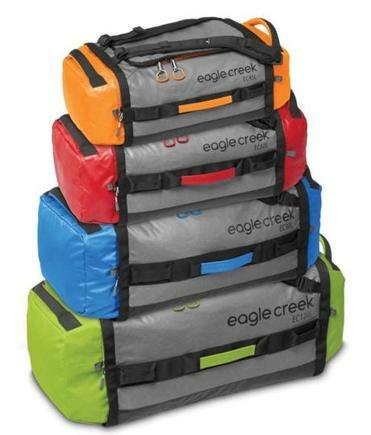 When you want water-resistant, superdurable, and ultralightweight bags for a trip, consider Eagle Creek’s new Cargo Hauler Duffels. These well-designed and rugged but stylish bags are made with an abrasion-resistant coated fabric called Bi-Tech Armor Lite that helps them repel water and stand up to the abuses of travel while remaining ridiculously lightweight: The 60-liter bag weighs less than 2 pounds, for instance. The duffels come with a larger zippered main compartment (with a little extra padding on the bottom), and two zippered end pockets for shoes, gym clothes, or travel documents (one pocket serves as a stuff sack). They have removable backpack straps, curved grab handles on either end (a nice touch), and large, glove-friendly zipper pulls. The 45-liter bag serves as the perfect daypack for sightseeing or overnight trips, while the 60-liter duffel works well as a weekend getaway or souvenir bag, and the 90- and 120-liter bags can haul clothes and gear for longer trips or expeditions. These feather-light duffels won’t tip the scales either:They range from 1.5 pounds (45 liter) to 2.4 pounds(120 liter). $89-$119. 888-824-9460, www.eaglecreek.com.